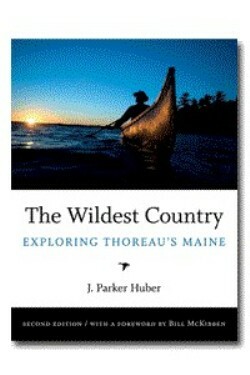 The Wildest Country: Exploring Thoreau's Maine, by J. Parker Huber, 2nd edition, 2008. Very attractive, informative and interesting AMC-published book follows Henry David Thoreau's journeys through Maine (as recorded in his classic The Maine Woods and offers modern commentary on how the route has changed. Illustrated with numerous color and black-and-white photos and color maps. 240 pp, 7" x 9 1/2."